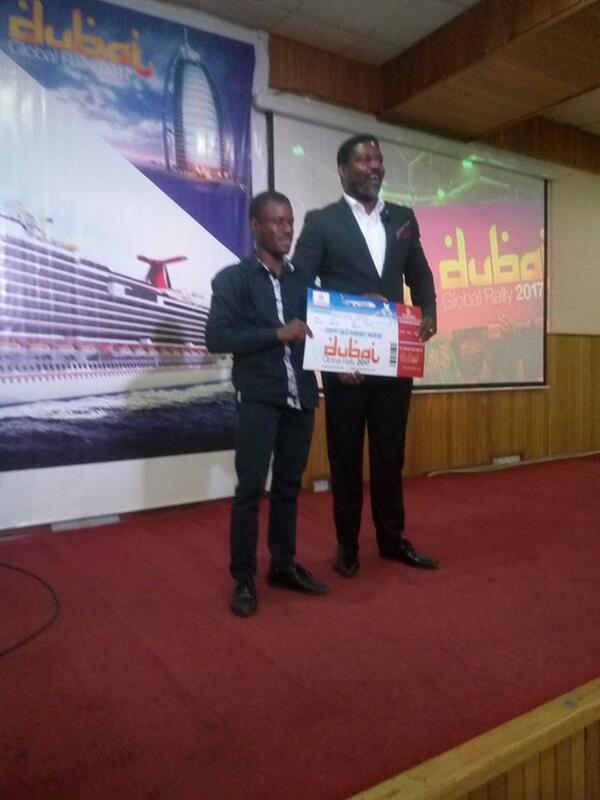 "Now You Can Gain Access To the Exact Same System That Has Made Over 50 People Financially Independent With Each of Them Making Nothing Less Than N100,000 Profit Every Month - With A Little Capital!!!" 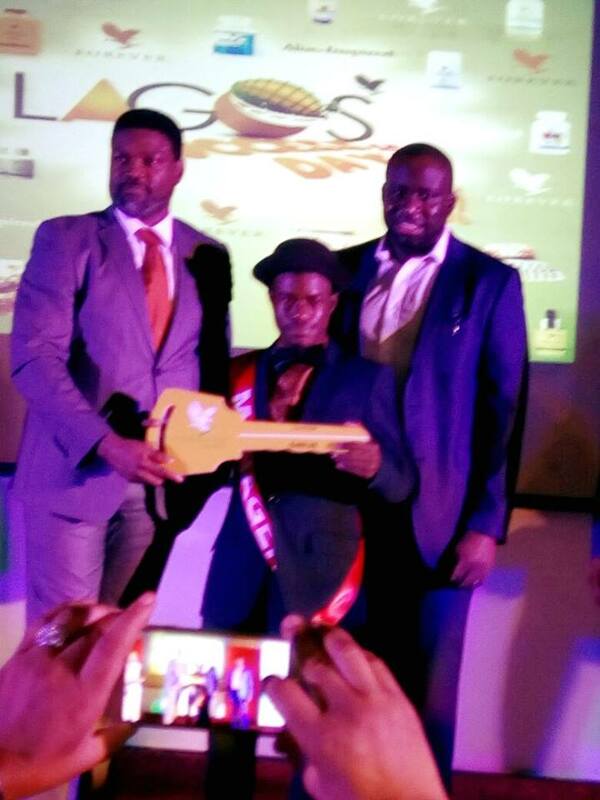 PLUS... How I Have Been Making Nothing Less Than N1,000,000 For Several Months. My name is Idris Adeleye... I am an internet marketer and since 2011 when I have really started making money (even though it was very small then), I have always loved to carry my friends and family along. And in doing that, I have already helped a whole lot of people make money through the internet. In August this year I have got started with something new... something bigger than everything I have ever done online and it is what this post is all about. ENJOY! This will be a long read. So, this stuff i am talking to you about actually has to do with marketing of products through the internet. I will use my personal story to illustrate. There is a particular product I am selling now that is giving me nothing less than N10,000 profit per sale. So, if you can try it with all the tools I have in place, ready to be duplicated for you... All you need between today and ending of the month to make 100k profit is to pull 10 sales. And we will be using Facebook Ads... More on the stories in few mins. Between August 15 and the time of this writing (December 11), I have sold over 350 pieces. So, after several months in the business, I realized the health niche is the best. I was using konga and they take commission and some other charges like that. So, the profit is around 6k at the end of the day per sale... Konga is only serving as a delivery service for me because i am using facebook ads to pull the sales. In June, I pulled a total sales of over 1.3 Million, we still have to calculate the profit on that though. That's just to tell you how powerful this sellling method is. But then, dollar kept increasing and it's no more easy. Profit kept coming down because the 12k is the working price. I've tried to increase it several times and the sales are not encouraging enough. So, I started searching for a way to make it better to escape the dollar boundage. Do you remember I said they are health products? Well, they don't have NAFDAC and I was once asked to pay an extra 50k at the port for clearance after I've paid all the normal dues. And at the end of the day, it was due to the fact the the product doesn't have NAfdac aproval. Then I found a company that already had a base in Nigeria. They have a lot of health products which also already have NAFDAC approvals. And they have products in many niches.. Diabetes, Fibroid, Hairloss, Men's Health, weightloss and many more. So, as I said ealier, we will be using facebook ads, although, there are many advert platform but FB is still my main joker for now and you can start it for FREE unlike others. There are over 20million nigerians on FB, so why not? The means I am devising is the sales page format. I create a sales page to display the product, tell people about how it is the solution to their problems and why they should buy it through me. And it is working very perfectly. With N67,000, you will be buying up to 6 of these products. And let's say all of your orders fall to these far locations (which is very imposible), you will be buying each at N11,160. We resell for between 23k and 24k. Now, let's say you chose 23k. So, you will be getting around 8,600 profit on one. That will be like a total of N52,140 profit for your first deal. You can keep this profit and reinvest your initial capital again... Once you do that, you get a discount of 20% on the price of the products. if you follow my guidance very well, you will be able to do this 67,000 deal twice because I sell as fast as possible. My best advice will be that you should start with N134,000 though, because that will give you 12 products and you can just sell all that within a week. An advantage this option 2 (134k) has is that, you will be able to buy the product cheaper on your next purchase, cos the 12 will only cost 103k the next time you purchase. So, if you opt to do this I will give you all the tools and trainings that you need (including the sales pages and adcopy I am using and how you can go and duplicate them for your campaigns) for FREE. By the way, you are not paying me any cash, I will tell you where to go and buy the products. The company is in Nigeria and they have reputation here and in abroad. It's been over 37 years in existence. So, the company I am talking about is Forever Living Products... But before you close this page and say this is another B.S/MLM trash, let me give you the advantages of selling MLM products over selling imported products or your own or any other products like that. 1. Since it is already easy to sell products online... there won't be any big problem as long as what you are selling is working. 2. You with FLP, you won't have any troubles when it comes to USD to naira stuff. Dollar is currently at N400+ and FLP is calculating it at N300 at the moment. 3. With FLP you have a huge chance of success because the people above you will give you every support to help you succeed... If you show seriousness cos your success will have major impact on theirs. 4. You get extra bonus for the stuffs you do for the month. 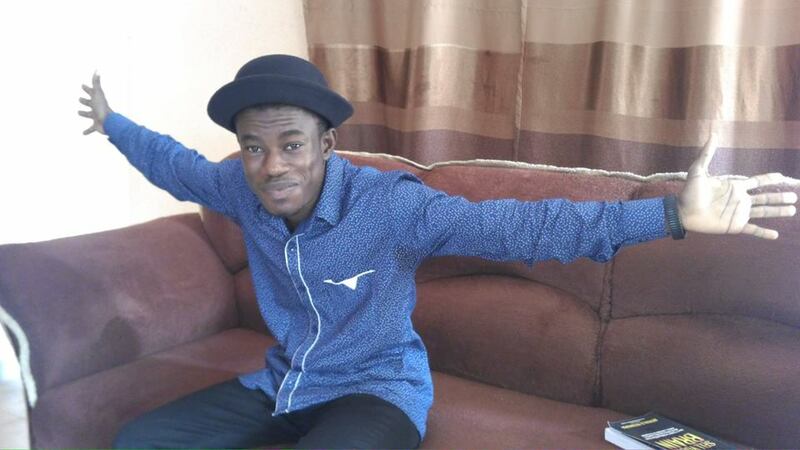 For example, I got N145,780.80 for what I did in August 2016 and I got N467,888.40 for what I in september... 1,006,152.00 for what I did in October.N1,378,283.20 for my November activities, N1,726,793.60 for December, and N1,520,635.20 for January 2017. . These payments comes in every 15th of the next month. N.B - This has nothing to do with the retail profits I mentioned earlier. If I ask you, I am sure you will hate MLM (Network Marketing), right? I actually hated it that there is nothing you can tell me some months ago about MLM that can I will listen to. But then, we've all been hating ourselves... I mean, after pulling millions from my sales, I am still getting paid something I can refer to as my salary... And within just 4 months, this has amounted to over almost 3 Million naira. Abi? Just add the above figures together and sound the total figure in my mind. I DID importation for over a year and no supplier on Aliexpress, Ebay or even 1688 has ever called me to say, Idris, send your account number... Despite referring over several people to them. I've been given discounts on certain few occassions. but it's on a very fee occassion . We already have a system in place that can generate these kinda results for you. Someone from the team once pulled 35 orders on a single day. I never had such result though but I've had 20 on a single day... By the way, 10 orders a month should give you about N100,000 profit and that should do. So, once people come into the business and see everything is in place and how fast they can sell, they come straight in and they sell and get tempted to bring more people in cos they have nothing much to do. All they have to do is show their results to people... People love results. MLM is a far better business and that's because it has 2 sides... I always say it's like having one's business and still being in a paid/salary job. See your retail profit as the prfofit from your business and see the monthly bonus recap as your salary. So, I believed you have agreed that MLM is a better business model. Sure. But definitely not all MLM company is good. So, how do we choose the right one? One good thing about FLP is that as you increase in rank, you buy the products cheaper and then your comission also increases. There is something on FLP called Case Credits (aka CC). It is what is summed together to increase our ranks. 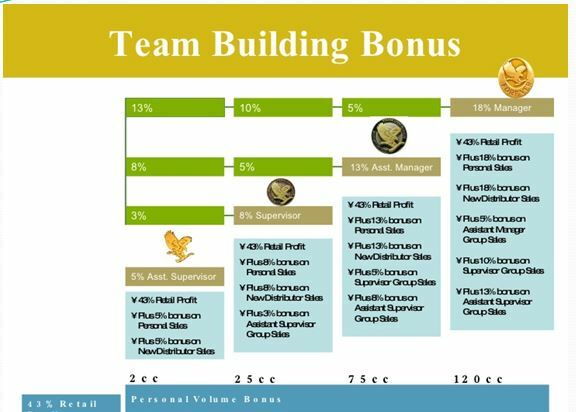 Those are the bonuses you can receive from FLP at various levels in the picture at the top. 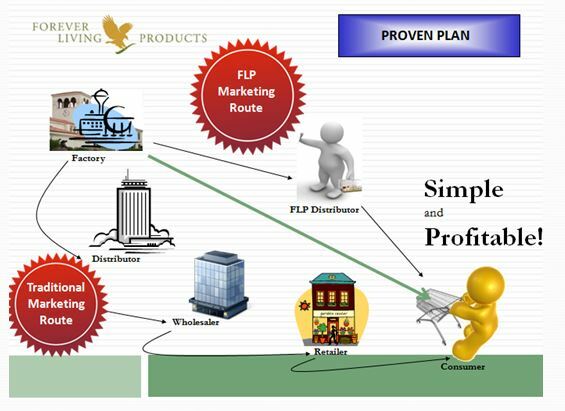 So, can see that as against the traditional marketing route, FLP supplies the distributors straight up. This makes re products cheaper. And you can go sell at any price you care. I personally havent sold for less than 7k profit on FLP. Lastly, this business doesnt stop you from going about your normal daily activities or business or maybe even job. It can be a PLAN B for you. Thereare several bankers in our team and they are doing fine. If you are ready to join, registeration is 100% FREE... 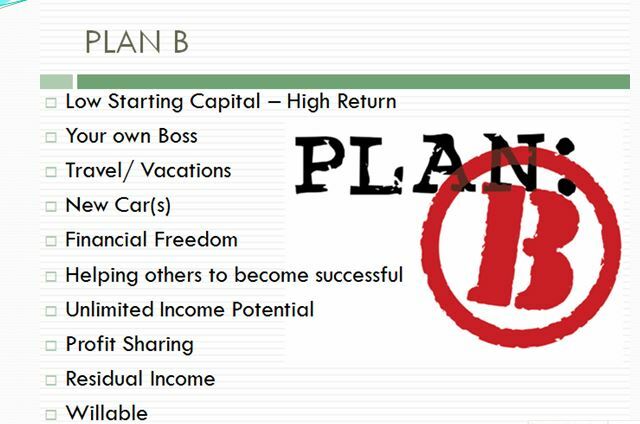 The name of our group in FLP is PALS (Positively Affecting Lives), We mainly use the internet as our source of sales. 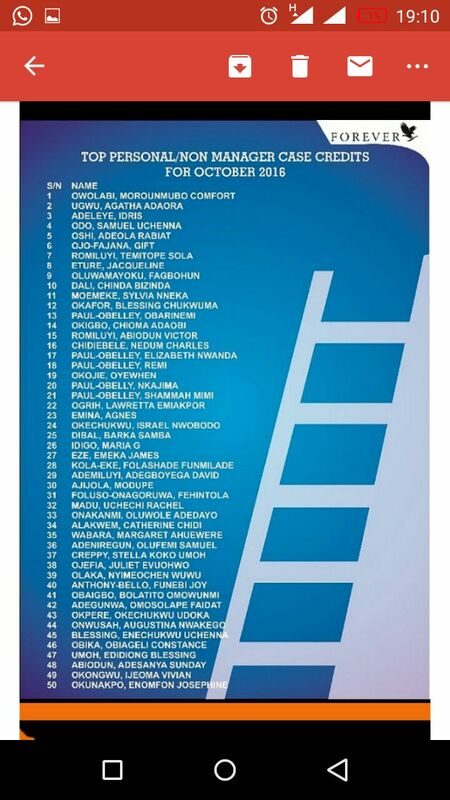 And because we are able to reach so many people in a short time, that is why we are moving up the ladder so fast. I am currently a manager and did it in 2 months. There are already 3 other managers under my legs now and 2 of them did it in 2 months, the latest manager did it in 1 1/2 months. That's my name on No.3. The guy on No. 8 is actually my direct downline manager. Network marketing have always been a huge opportunity, the problem is always how to sell and we have that addressed here. Though, just like every other businesses out there, you will have to put in some work for it to actually work for you. This Is Not A Get Rich Quick Scheme... Its just one of the best ways to actually get rich... BUT THERE IS WORK TO DO! But there are 2 main entry point to join our team and get access to all our tools and training. Buy products worth 1cc, N67,000. Once you are ready, pick up your phone and call me on 07030908226. You can as well send an SMS. Or just get in touch with me on Facebook.